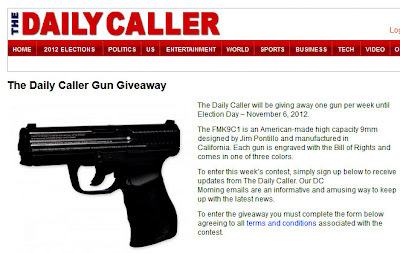 The Daily Caller, which was founded by proud gay-basher Tucker Carlson, announced today that it will give away a "high-capacity" handgun per week until our Kenyan Communist Gay President is toppled in November. Can this possibly be legal? Surely some states must outlaw such nuttery.